I thought about it for a few seconds, and then eventually told him that without a doubt, it has to be pulling off a naked Ace bluff in a MONSTER pot. I think most players would agree that nothing feels better than knowing the opponent can’t have the nuts, taking a perfect line that makes him lay down a flush, and then turning it over to needle afterwards! 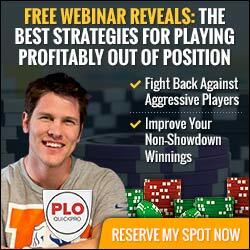 Blocker bluffing encompasses many of the qualities that make PLO such a beautiful game. With four hole cards, the ability to represent a wide range of hands is naturally built into it, as is the tendency of players to be scared of the nuts on every street. Using blockers as ammunition to force opponents into submission takes a lot of guts, but that doesn’t mean it’s all glory. 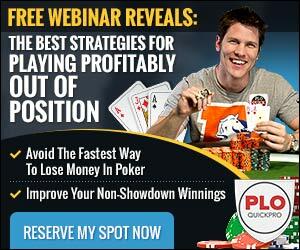 Many beginners are either misapplying or overusing their blockers, which can end up being an expensive habit. I love creating these short videos for you – but I want to hammer on the topics you want to hear about. So reply back to me with any requests you have (consider me your PLO DJ!). 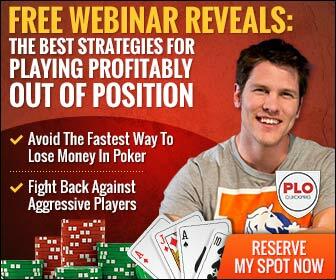 I read and respond to every comment – and my goal this year is to connect with as many players who are as passionate about PLO as I am – is that you?